Use our online documentation as a reference book to answer your questions. 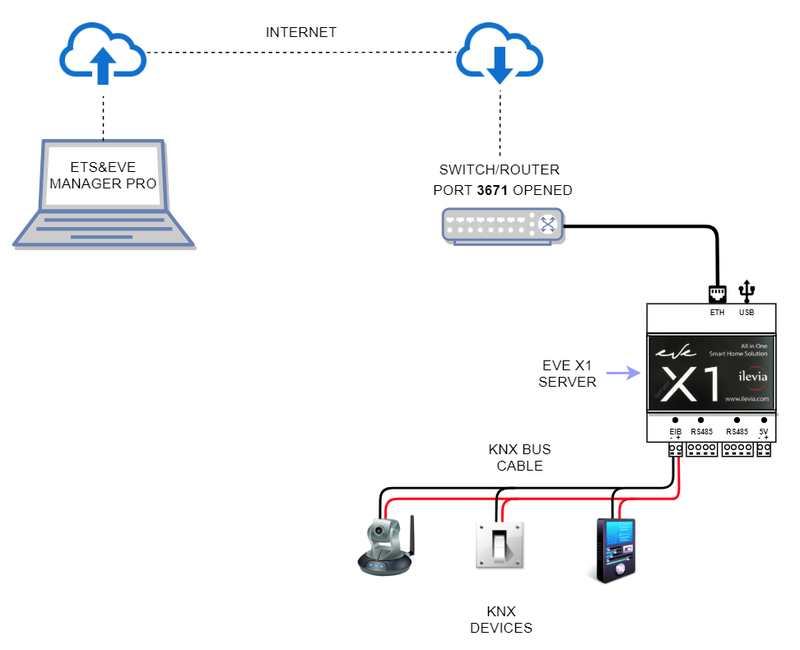 The KNX Gateway directly connects the KNX BUS cable to the X1 allowing configuration, parameterization and commissioning of the KNX installation and the BUS monitor using ETS. Attention: remember that using this feature will make the EVE server dedicated to this type of service. Once the programming has finished, the service must be stopped as explained in the following guide. 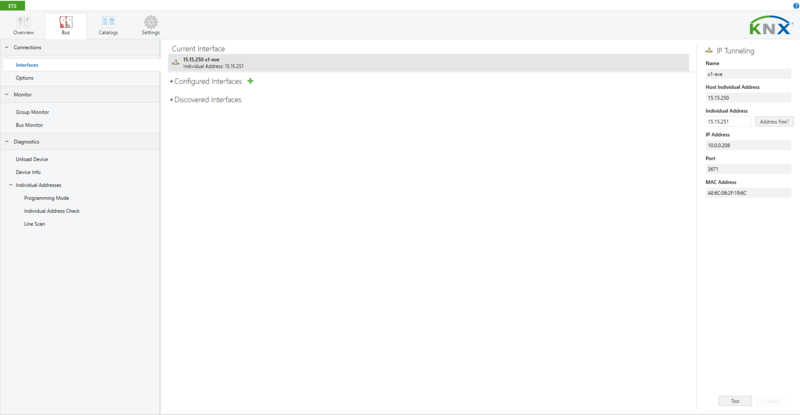 Launch EVE Manager Pro and connect from the Project -> Connect menu to your X1 server. 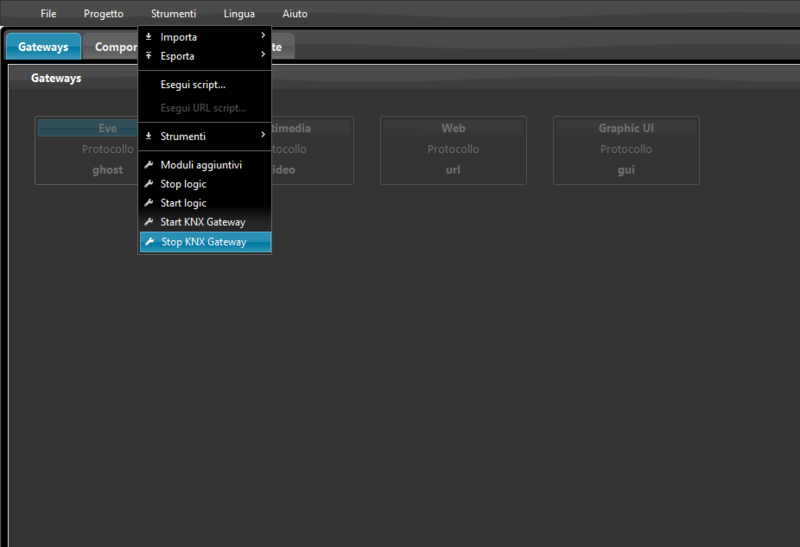 Once the connection has been established, go to the Tools -> Start KNX Gateway menu. This will initiate communication between the X1 server and the ETS software. Now let’s move on to the ETS program, by selecting the Bus screen you will notice that communication was successful. 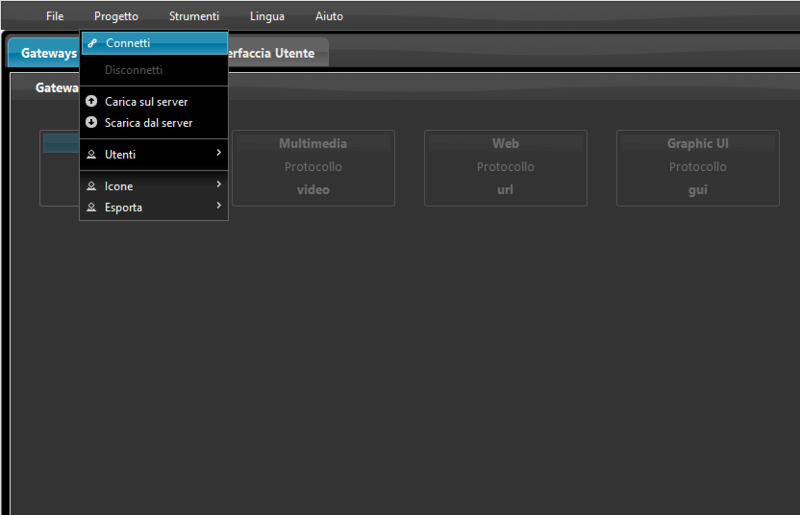 Under “Current Interface” you will find your X1 server while on the right of the screen all the network details of your server. 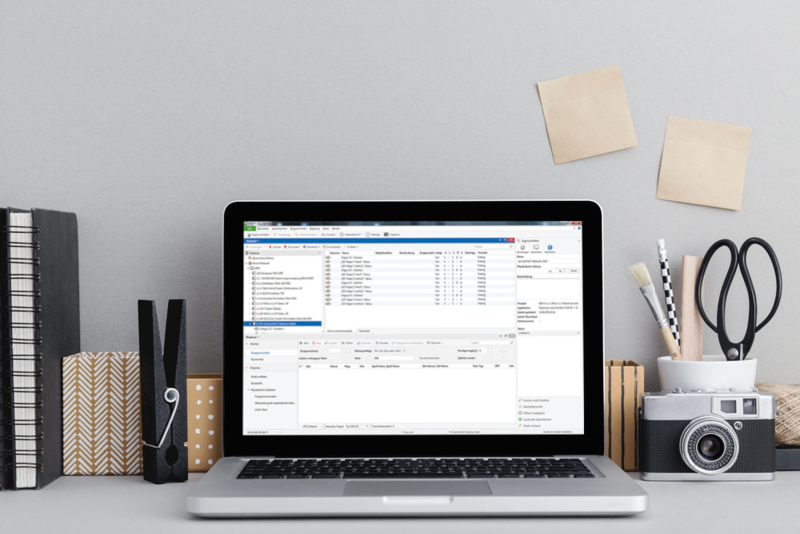 When the connection is established, it will be possible to use all the ETS features. 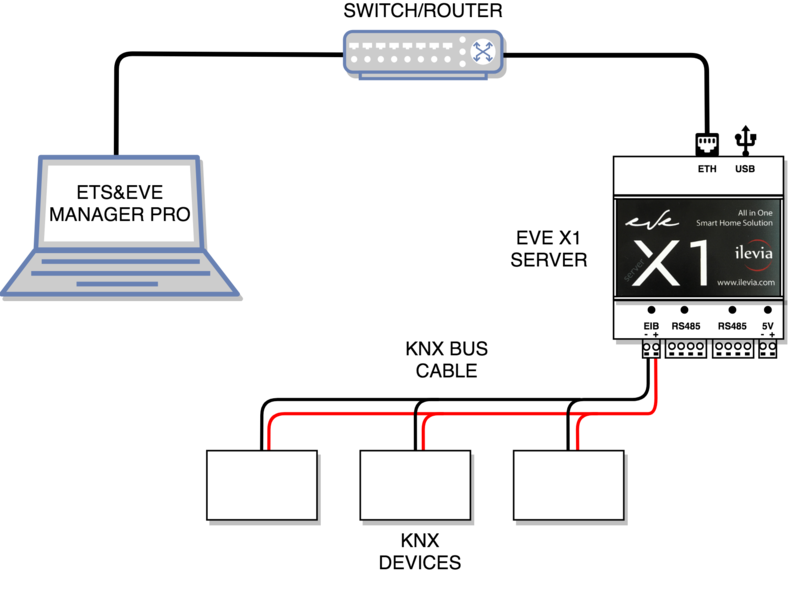 In this example, the correct operation can be checked by selecting Bus Monitor, which once you press Start, will give us all the information about our devices in real time. 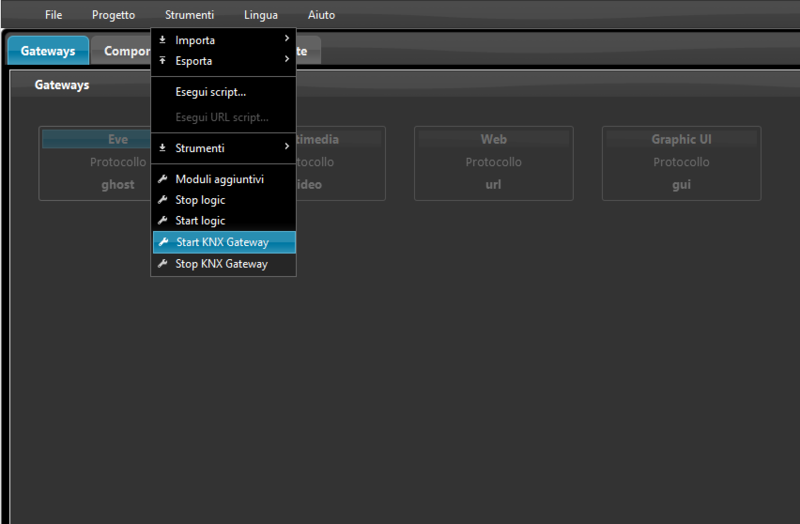 Once the configuration is over on ETS, go back to EVE Manager Pro and from the Tools menu click on Stop KNX Gateway. Opening the 3671 port of your router will allow you to configure your project within ETS remotely.